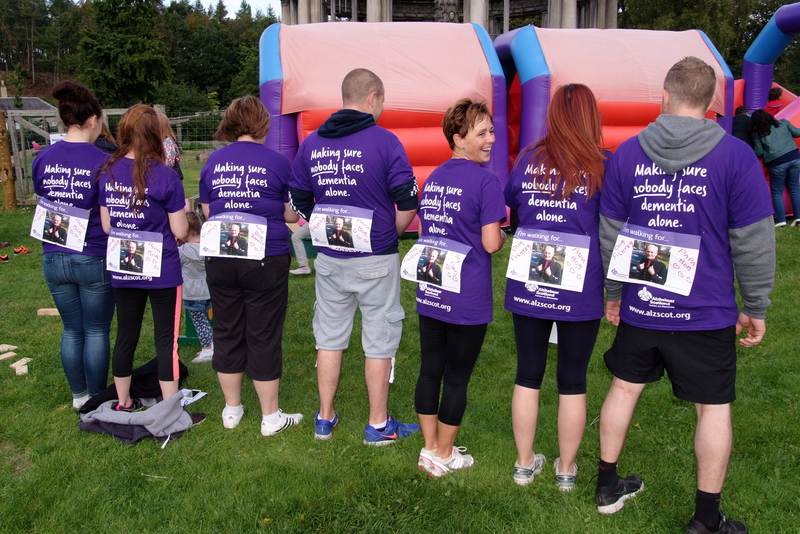 This autumn, thousands of people will come together to raise money and walk for their loved ones, as part of Alzheimer Scotland’s Memory Walk 2015 series. Memory Walks are very special events. More than just sponsored walks, they bring people who care about dementia together to show their support for the 90,000 people in Scotland with dementia and those closest to them. At Alzheimer Scotland, we don’t see raising money as something that happens in isolation from the rest of the charity’s work. We aim for our Memory Walks to be truly inclusive, dementia-friendly events that are welcoming and accessible for everyone. As well as our main walks, which are usually around 5 kilometres (3 miles), we offer shorter routes for people who are less mobile or who use wheelchair, and for families with small children, so that everyone can get involved. Many of our routes are dog-friendly too. We also provide a range of fun activities, from bouncy castles to reminiscence areas, so that people who prefer not to take part in the walk can still enjoy a day out. We know that spending time outdoors is beneficial in improving mood, helping people to deal with stress and encouraging healthy sleep patterns. In 2015 our Memory Walks are taking place in a range of stunning locations which have a rich natural and built heritage. Our Baxters Memory Walk in Moray will launch a brand new Heritage Trail in Fochabers and Speyside; Our Glasgow Memory Walk in Kelvingrove Park offers the chance to see some beautiful wildlife including kingfishers, cormorants and otters; and our first ever Dumfries Memory Walk takes place in the fascinating historic surrounds of Easterbrook Hall. Although our main routes are not long, some of them are a little on the hilly, bumpy or muddy side and will definitely stretch our Memory Walkers’ legs. We know that leading a physically active lifestyle can have a significant impact on the wellbeing of people with dementia and carers as well as being a factor in reducing the risk of developing dementia, so we view Memory Walks as an opportunity to encourage everyone to enjoy exercising in an attractive, safe and friendly environment. Many of our Memory Walkers have dementia, and many others care for loved ones with dementia, or have done so in the past. They tell us that they really value the opportunity to come together with others in the same situation with a common purpose of raising funds. 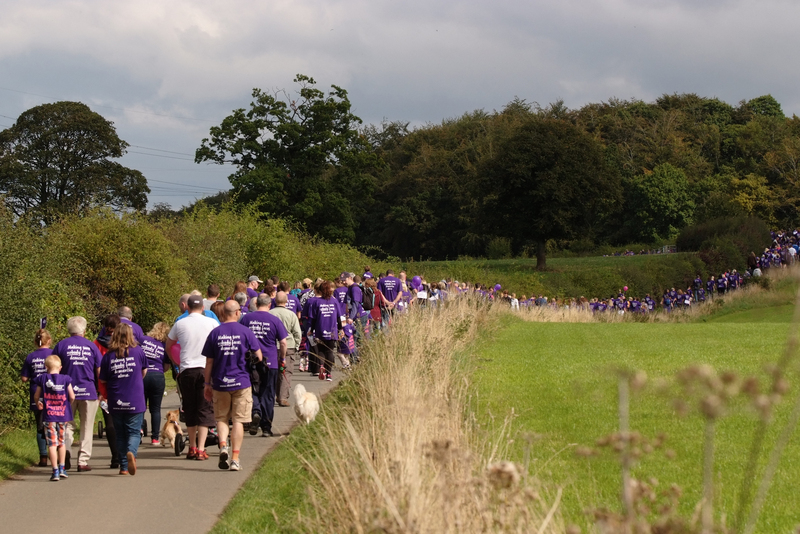 Memory Walks raised an amazing £100,000 in 2014 – but we need so much more to safeguard our vital services and reach more of the people who need our help. The money we raise in 2015 will be used to fund our Dementia Advisors, Dementia Helpline, Dementia Nurses and research, as well as services in local communities across Scotland. 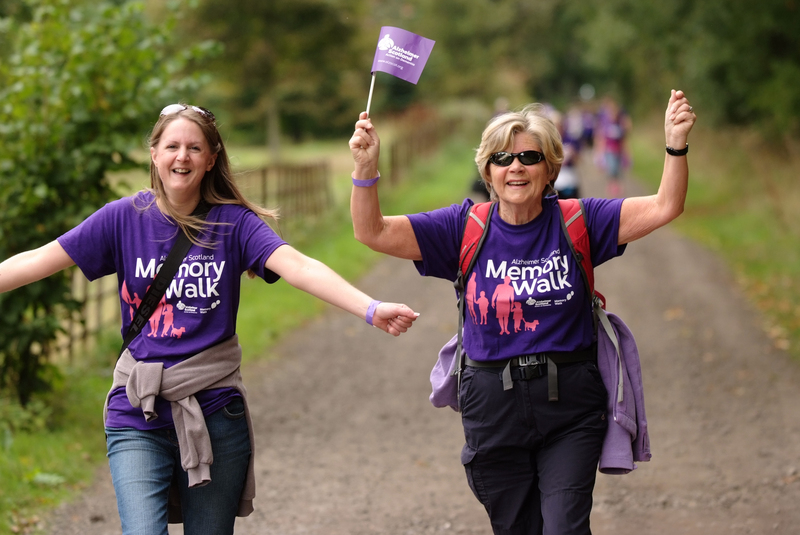 In 2014 over 2,500 people showed they cared and took part in Memory Walks – this year, we want to recruit even more amazing Memory Walkers to help us make sure nobody faces dementia alone. Four ways you can help! Catherine has worked in fundraising for twelve years and joined Alzheimer Scotland in 2009. 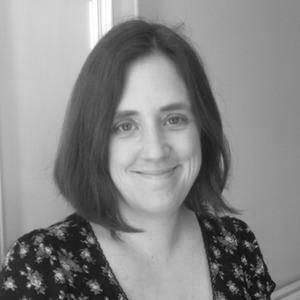 She oversees Alzheimer Scotland’s fundraising activities involving individual supporters, sponsored and community events and charitable trusts.